This pen is pre-owned, but is in excellent condition. 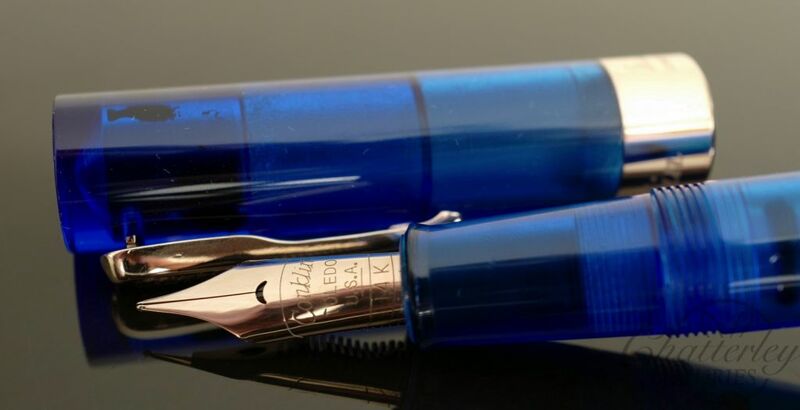 It comes complete with original box and papers. 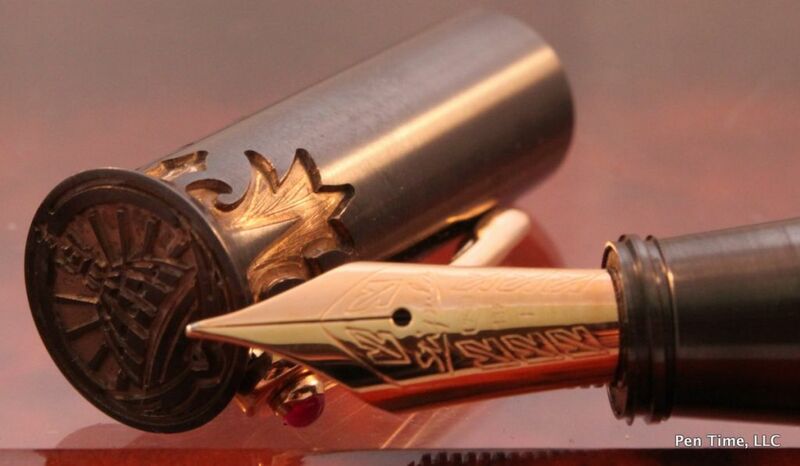 It is equipped with an 18kt Medium nib. The original Mark Twain limited edition was released in 2001. 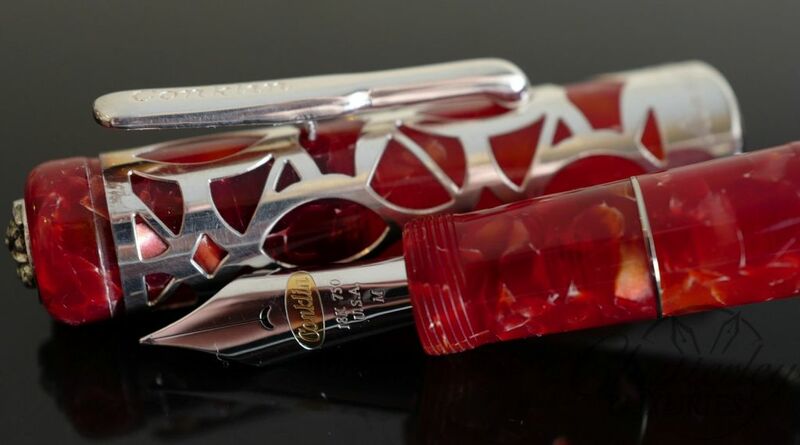 It is made of a beautiful red celluloid with an intricate sterling silver overlay. 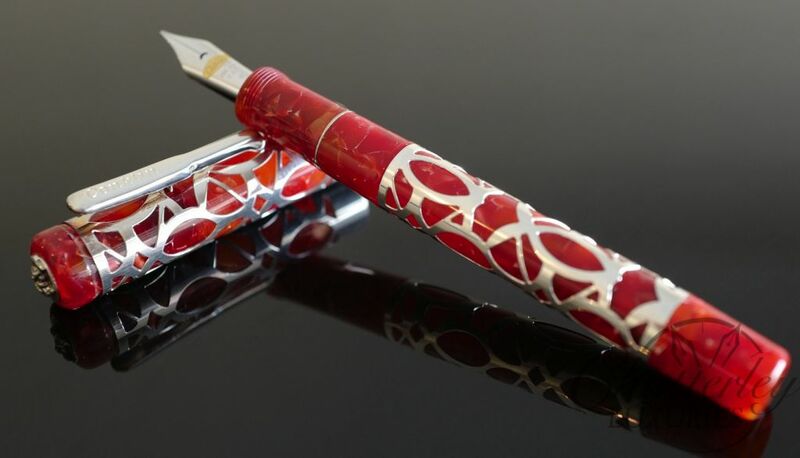 It was a limited edition of only 150 pens.